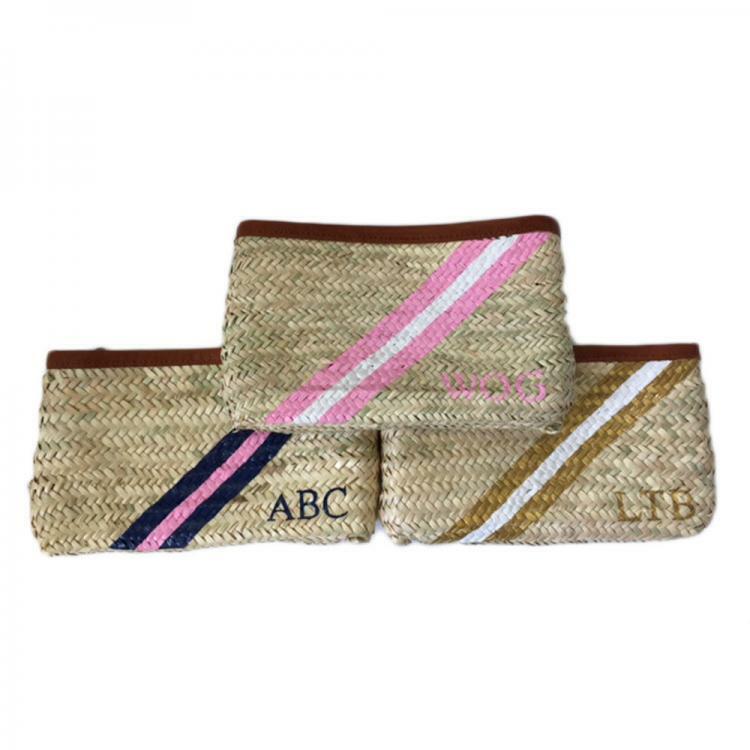 This handmade straw clutch features vibrant hand painted diagonal stripes and initials. 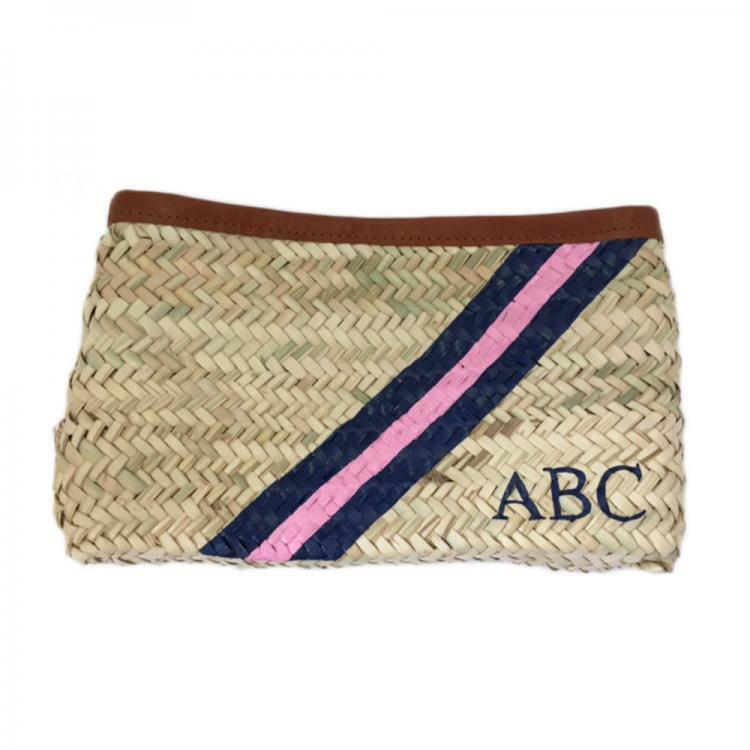 A unique accent piece for a fun day at the beach or a casual summer night out. 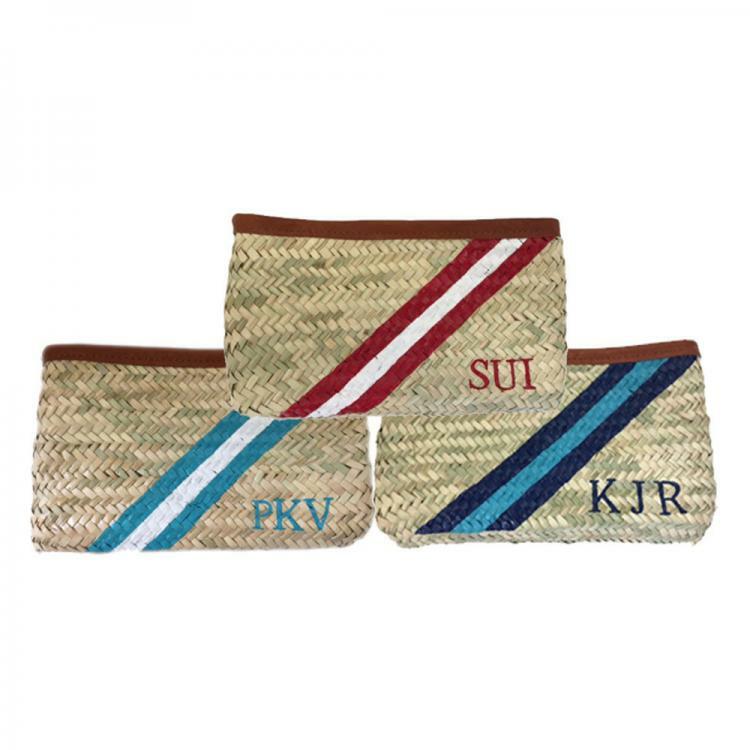 Since all bags are handmade each varies slightly in size and color making no two alike and truly one of a kind. 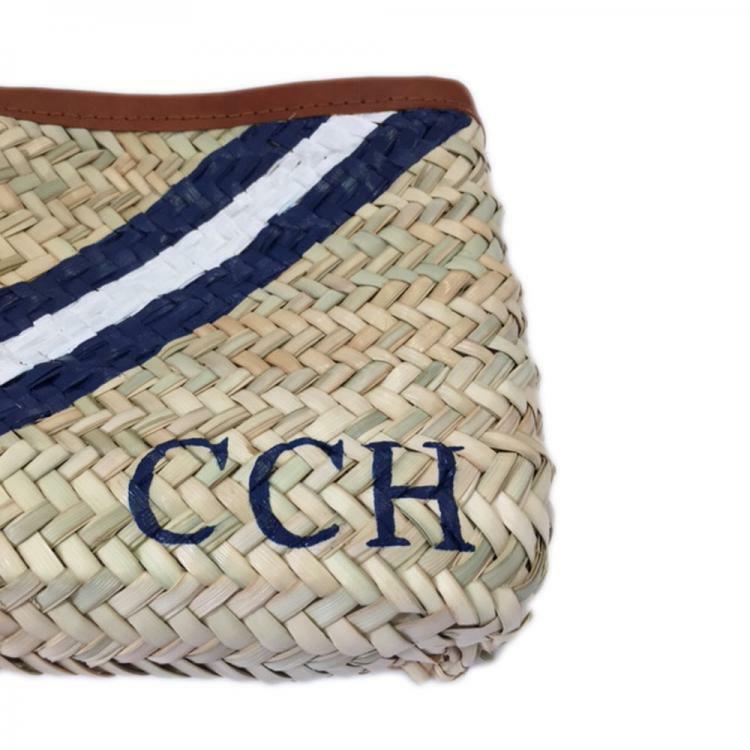 These handwoven straw bags are made by skilled artisan women. The stripes and initials are handpainted, occasionally having some variation in color and thickness of letters and stripes. This is a Fair Trade Business and income generated helps these women sustain their families. Choose from a palette of fifteen colors to create your own color combination and personalize with your initials to complete your unique bag. Please carry your bag with care and do not overload. Paint may chip if scratched, scraped or hit, but can be touched up. Colors and Personalizing will be painted exactly as you enter them. 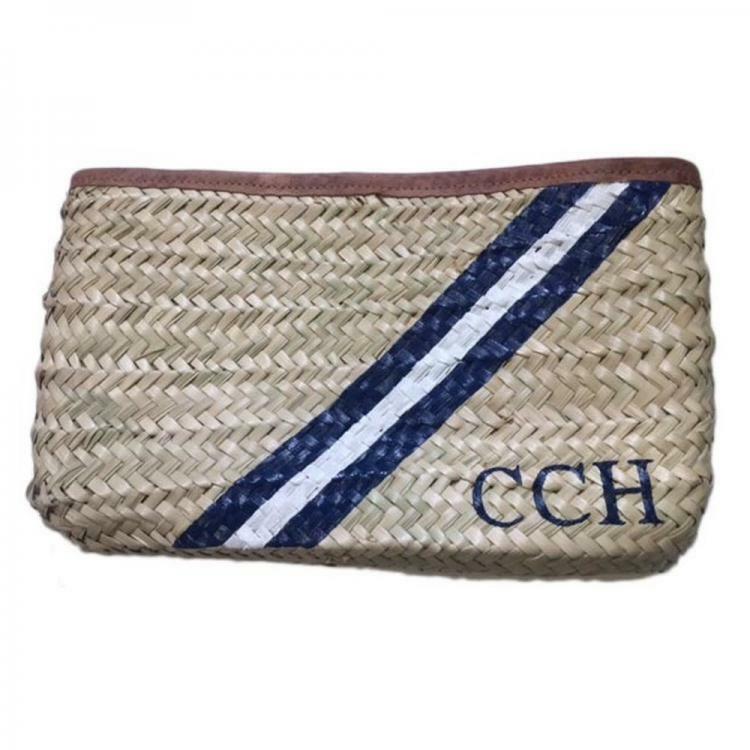 Due to the uniqueness of this bag, all sales are final with no refunds or exchanges allowed. Price: $90.00 In stock! - Browse this brand: Initial ReactionsOur products are custom made to your specifications. This product ships up to 4 weeks after your order is placed.